The Kunsthal is a conjuring box with flexible programming. This enables it to show connections between art, culture, design and lifestyle and to respond to contemporary events. 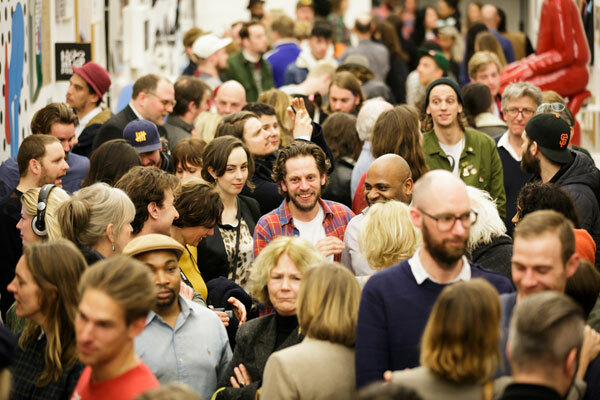 Numerous target groups met one another last year in the Kunsthal: from hipsters, artists, young people, design fans and school students to clubs of friends, art lovers, academics, circles of entrepreneurs and foodies. It is a treat to see how the Kunsthal functions once again as intended: as a Palais des Festivals and meeting place where there is always something to discover. The mixture of big international exhibitions coupled with national and regional projects and the cross-fertilisation between light-hearted themes and depth provide the dynamism that is so unique to the Kunsthal. While the spring of 2015 showed transversal links of imagination, the autumn was more filled with contrast: the activist art of the famous US artist Keith Haring (1958-1990) in the 1980s in New York, and the fascinating survey of the history of Soviet design during the Iron Curtain. Visitors who came for Keith Haring were pleasantly surprised by the Russian-made retro design. At the same time, design lovers were enormously impressed by the committed work that Keith Haring produced during his short life. 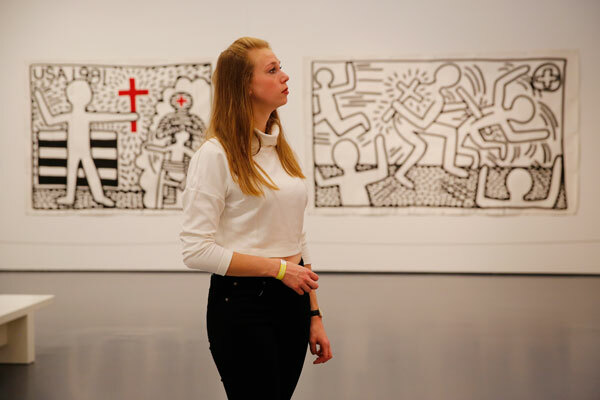 It was a surprise for many who had previously only known Haring’s work from the T-shirts and other merchandising. Go to exhibitions 2015 and events and new public for the full programme and activities in 2015. Four new exhibitions opened under the title Freaky Spring during the Museum Night on Saturday 9 March. The ironic installations of the Czech artist Krištof Kintera in the exhibition ‘Your Light is My Life’ made the public smile in astonishment. The hybrid, surrealist figures of the Dutch artist Piet Parra attracted (new) urban target groups, and the portraits of people who assume a different identity (‘furries’) by the Belgian photographer Charlotte Lybeer were intriguing. The darkly painted interior of Thera Clazing is diametrically opposed to the austere architecture of Rem Koolhaas and has an alienating effect on passers-by. 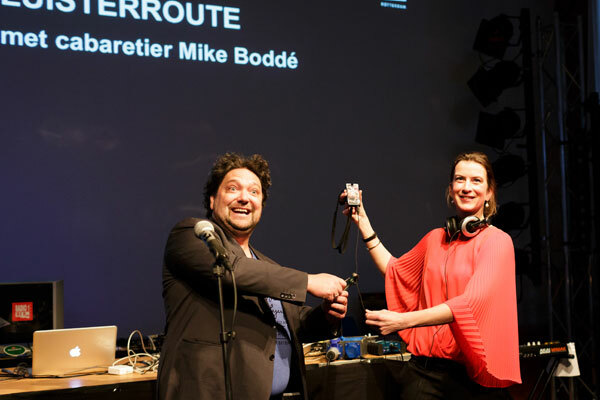 The Listen Route, an innovative audio tour with Mike Boddé in which visitors go on a non-stop audio tour of the Kunsthal, was launched in his presence. There were performances by Parra’s band Le Le (with well-known singer Pepijn Lanen alias Faberyayo) and the Czech band The Tchendos. The Kunsthal was a bustling hive of activities! A week later the hands-on family exhibition ‘Wonder World’ with more than five hundred picture postcards, film and photographic moments from the early twentieth century opened the doors of the empire of the imagination. 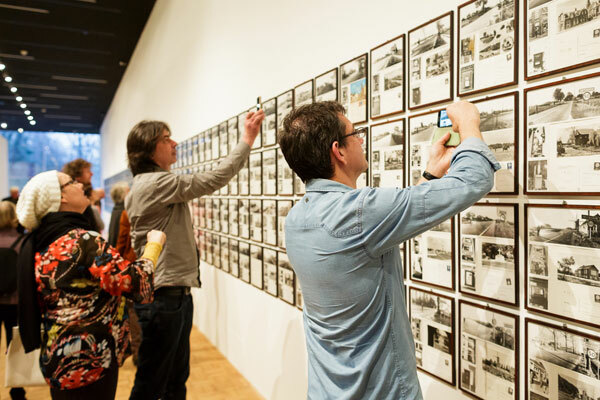 There was plenty for children to discover in this exhibition, while adults could look back on the 1970s with the postcards from all 863 municipalities of the Netherlands in the exhibition ‘Greetings from…’ by the Rotterdam artist Wim Gijzen. 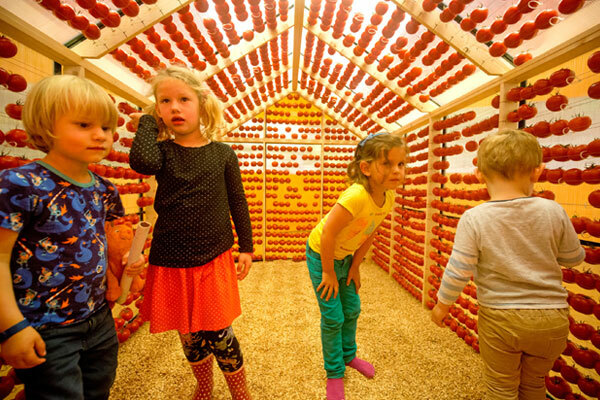 The summer was given over to public participation with the exhibition ‘Tomato Factory’, in which young and old were invited to take a light-hearted plunge into everything connected with tomatoes. 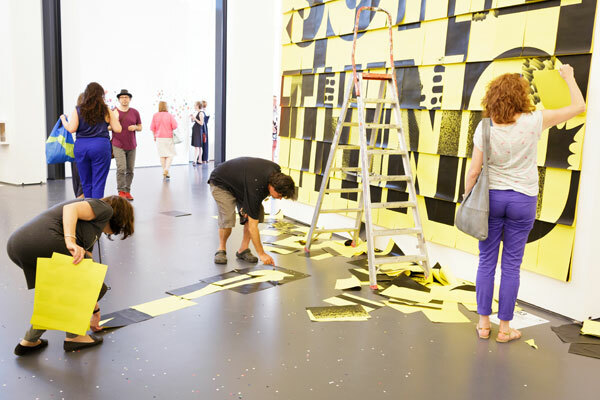 It was an exhibition produced by the Kunsthal itself that brought many children with a school holiday pass or from an after-school facility to the Kunsthal. The opening of ‘Tomato Factory’ coincided with that of the fifth edition of ‘Kunsthalcooks & cultivates’ and was programmed to expand this three-day festival of good taste. At the same time, many beautiful local collaborations took place in the project ‘do it (Kunsthal Rotterdam)’, after a concept by curator Hans Ulrich Obrist in collaboration with guest curator Jeroen Everaert of Mothership and OPPERCLAES. The carrying out of artists’ instructions by (Rotterdam) artists and the active role of visitors in their activities brought a different public to the Kunsthal. In the autumn the Keith Haring Community Art Project was a good example of public participation in the spirit of Keith Haring. Read more about the Kunsthal and public participation. Thanks to its years of expertise in making and presenting high-quality exhibitions, the Kunsthal has an important function in making special (inter)national collections accessible to a broad public. It often functions as a platform for various museums, artists, private collectors, foundations and (social or cultural) institutions. It has continued to perform this task successfully in 2015. 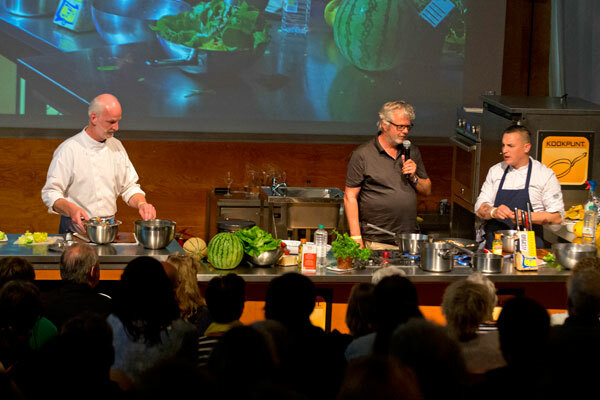 In the third week of June the Kunsthal offered a platform to numerous producers in the field of healthy and sustainable food in the jubilee edition of Kunsthalcooks & cultivates, the festival for real flavour. This festival began in 2004 as the mother of all genuine food festivals in the Netherlands. In collaboration with guest curator Ellen Scholtens, this festival transformed the Kunsthal for three days into a real food palace. Cooking went on all the time in the Cooking Theatre with presentations in the Auditorium, and the public could sample the best products of impassioned stall holders who make absolutely no concession on real flavour. From October, an unusual collection of design products from the Moscow Design Museum could be seen for the first time in Europe in the Kunsthal. From Mischka – the famous bear that was the mascot for the Olympic Summer Games in 1980 – to the government telephone of the Kremlin, the exhibition ‘Red Wealth. 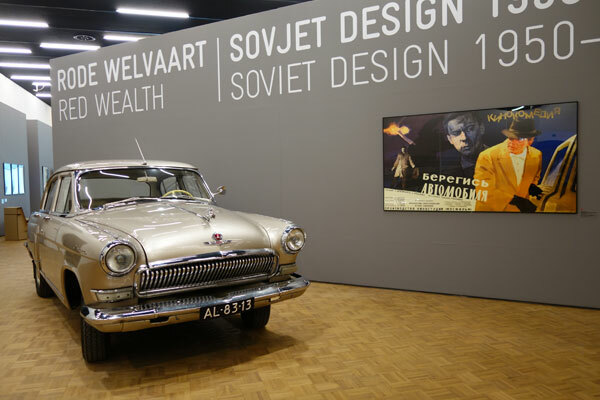 Soviet Design 1950-1980’ offered a fascinating glimpse behind the scenes of the former Iron Curtain. More than 360 objects showed the best examples of Soviet design, from charming retro products and graphic designs to prototypes that stand for a systematic, functional and social approach to design. In collaboration with Fondation Custodia in Paris, the Kunsthal provided a platform for the multi-faceted oeuvre of the artist Arie Schippers. The exhibition ‘Paint becomes bird’ included many loans from private collections. 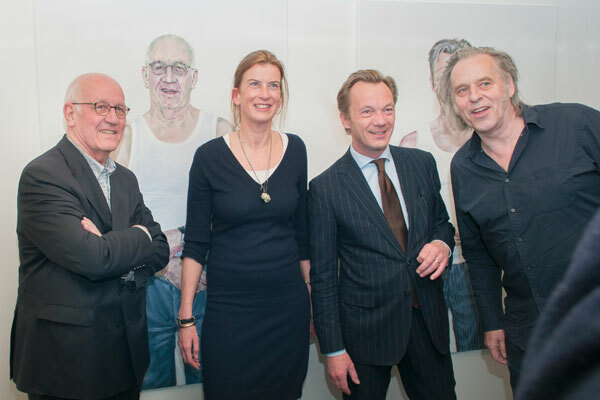 Partly thanks to the (press) attention that his work received, in January 2016 Schippers was awarded the Sacha Tanja Medal from the hands of Wim Pijbes as a tribute to ‘an artist, person or instance that has performed a great service in the field of figurative art in the Netherlands’. The Austrian artist Matthias Kessler, whose work explores the (historical) relation between people and nature, was also given a platform for his first solo exhibition in the Netherlands. The Kunsthal presented several important installations from his oeuvre. Using innovative techniques, they expose important themes such as economic interests and the way we deal with natural resources. 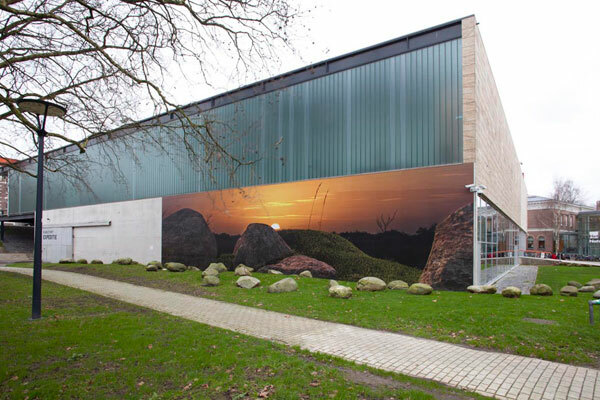 His prominent ‘Sunset in Simulacrum’ on the outside of the Kunsthal could also be seen by passers-by in the Museumpark. The Kunsthal also makes space to be able to respond to the present moment, for example by preparing a presentation in the Amsterdam Kunsthal Citroën with little time for preparation, keying in with the Children’s Book Week with the presentation ‘I’m going to write a children’s book when I grow up’, and reacting to the successful Ro Theater production ‘Van Waveren. The decline of a Dutch family’ with the photo exhibition ‘Van Waveren. An overwhelming family history’. Projects with an attractive content regularly crop up at short notice that fit in well with the Kunsthal. An example is ‘Dutch Gentlemen’, a series of eighteen painted portraits of men by Milou Hermus. Her subjects include the former Kunsthal directors Wim Pijbes and Wim van Krimpen, who opened the exhibition, and could now be seen in the Kunsthal again, though as portrait paintings. The exhibition of scale models ‘150 scale models by students TU Delft’ was presented in the Auditorium in collaboration with the Architecture Faculty of the Delft University of Technology. This was the result of an intensive scale model workshop. The sketch models of the Kunsthal – made in just one day – showed 150 different interpretations of Rem Koolhaas’ iconic building from 1992. The Kunsthal also plays a role in the presentation of international contemporary ‘difficult’ art. The Kunsthal collaborated with West Den Haag on an exhibition of the leading international Norwegian/German artist Bjørn Melhus. In this way the Kunsthal responded to the International Film Festival Rotterdam (IFFR) and Art Rotterdam, where parallel presentations of Melhus could be seen. With this exhibition and the debate ‘Me against Us’, organised by West Den Haag, the Kunsthal offered a further dimension to its own public as well as to that of the IFFR and Art Rotterdam. The Kunsthal can look back with pride on the extremely successful exhibition ‘Keith Haring. The Political Line’, an international, large-format art exhibition that attracted more than 123,000 visitors. Twenty-five years after the death of the artist, the Kunsthal showed that his work has lost none of its capacity to speak to us. With 140 works of art from international collections, the exhibition went into the social and political aspects of the life’s work of this world-famous artist in detail. 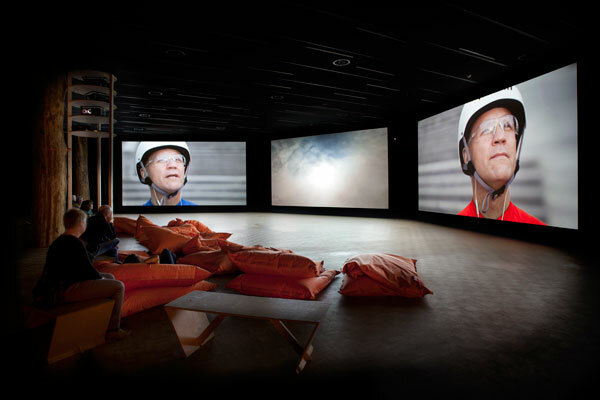 Many well-known and less well-known Rotterdam figures worked on the exhibition trailer, including Ivo Opstelten, Aruna Vermeulen (director HipHopHuis) and Chris Versteeg (artist). As in the case of the Gaultier exhibition in 2013 and the Bond exhibition in 2014, once again the Kunsthal managed to engage in metropolitan forms of cooperation and to achieve visibility in the city. 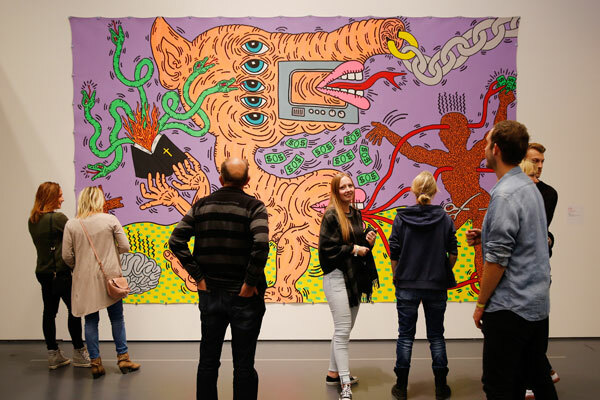 The public was inspired by Haring’s oeuvre and commitment, as can be seen from the great interest in the audio tour, the many requests for guided tours, and the amount of activity and involvement in the social media.